Former Top U.S. Nuclear Official: Fukushima is "ultimately unprecedented" - Its "legacy of contamination is very different from any other radiological disaster" in history. 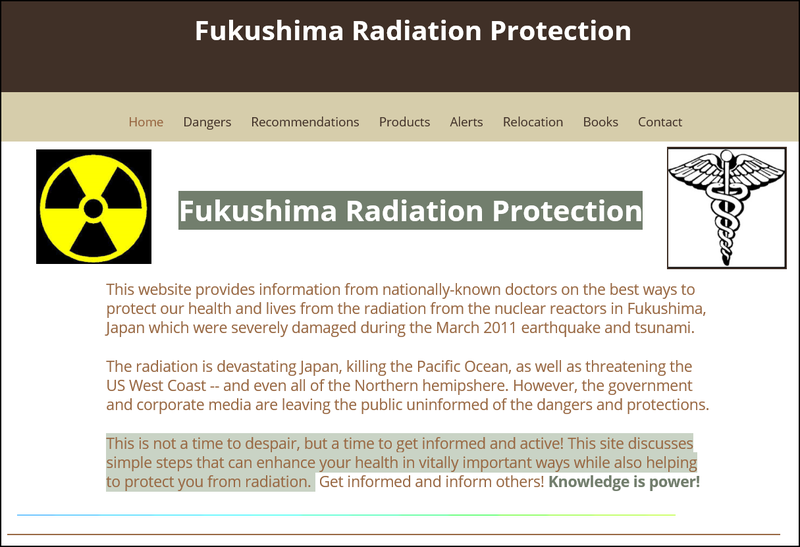 The Fukushima Radiation Protection site at: http://www.fukushima-shield.info/ is designed to provide an understanding of the risks posed to Americans by the ongoing radiation crisis that began on March 11, 2011 at the Fukushima Daiichi nuclear power plant in Japan. The site also discusses the many steps we can take now to help protect our health. No other site, to my knowledge, provides this dual approach or the comprehensive information on what to avoid and what to do. In the belief that knowledge is power, the site is designed to empower people to take important steps. As we face one of the greatest challenges to our health, the government and corporate media have been largely silent. So, we must inform and empower ourselves and each other. The risk is particularly acute for Americans on the West Coast (especially fetuses and young kids), but the radiation threatens everyone in the Northern Hemisphere. Nuclear activist Dr. Helen Caldicott points out that after the Fukushima accident, the ambient levels of radiation in Seattle went up 40,000 times above normal! Children are 20 times more radio-sensitive than adults and little girls are twice as sensitive as little boys. Fetuses are thousands of times more sensitive.